Let There Be Automated Blinds! More than once a maker has wanted a thing, only to find it more economical to build it themselves. When your domicile has massive windows, closing what can feel like a mile of blinds becomes a trial every afternoon — or every time you sit down for a movie. [Kyle Stewart-Frantz] had enough of that and automated his blinds. After taking down and dismantling his existing roller blinds, he rebuilt it using 1-1/4 in EMT conduit for the blinds’ roll to mount a 12V electric shade kit within — the key part: the motor is remote controlled. Fitting it inside the conduit takes a bit of hacking and smashing if you don’t want to or can’t 3D print specific parts. Reattaching the roller blind also takes a fair bit of precision lest they unroll crooked every time. He advises a quick test and fit to the window before moving on to calibrating and linking all your blinds to one remote — unless you want a different headache. Now, to get Alexa to do your bidding. Originally intended as a way to stabilize sensitive instruments on ships during World War II, the Slinky is quite simply a helical spring with an unusually good sales pitch. But as millions of children have found out since the 1940’s, once you roll your Slinky down the stairs a few times, you’ve basically hit the wall in terms of entertainment value. So what if we told you there was yet another use for this classic toy that was also fun for a girl and a boy? As it turns out, a cheap expandable metal coil just so happens to make for a pretty good antenna if you hook it up right. 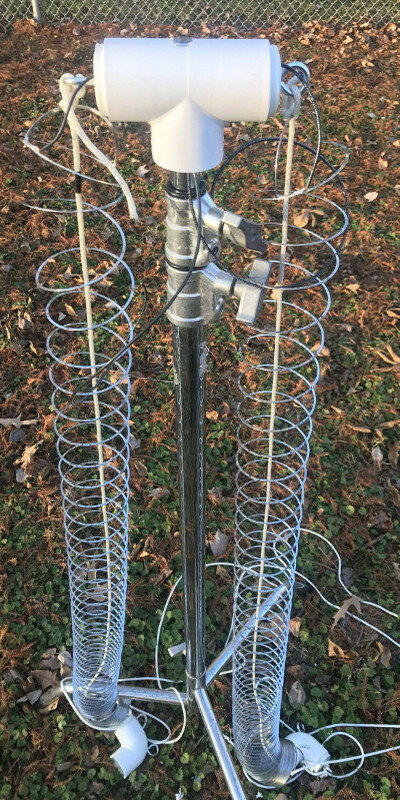 [Blake Hughes] recently took on this project and provided some detailed pictures and information for anyone else looking to hook a couple of Slinkies to their radio. [Blake] reports excellent results when paired to his RTL-SDR setup, but of course this will work with whatever kind of gear you might be using at these frequencies. Before anyone gets out the pitchforks, admittedly this isn’t exactly a new idea. 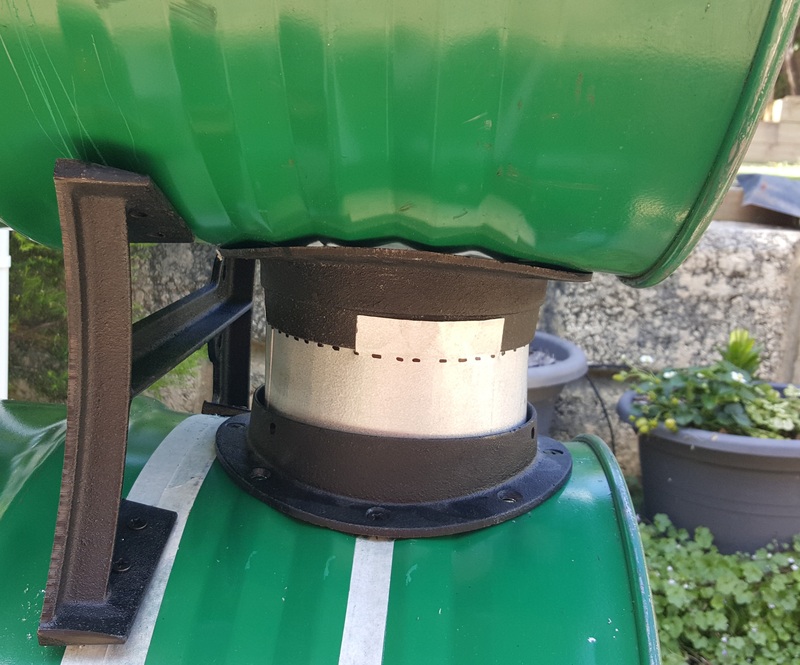 There are a few other write-ups online about people using a Slinky as a cheap antenna, such as this detailed analysis from a few years ago by [Frank Dörenberg]. There’s even rumors that soldiers used a Slinky from back home as a makeshift antenna during the Vietnam War. So this is something of an old school ham trick revived for the new generation of SDR enthusiasts. Anyway, the setup is pretty simple. You simply solder the RF jack of your choice to two stretched out Slinkies: one to the center of the jack and one to outside. Then run a rope through them and stretch them out in opposite directions. The rope is required because the Slinky isn’t going to be strong enough when expanded to keep from laying on the ground. One thing to keep in mind with a Slinky antenna is that these things are not exactly rated for outside use. Without some kind of treatment (like a spray on acrylic lacquer) , they’ll quickly corrode and fail. Though a better idea might simply to be to think of this as a temporary antenna that you put away when you’re done with. Thanks to the fact that the Slinky doesn’t get deformed even when stretching it out to maximum length, that’s relatively easy to accomplish. If you’re looking for a good RTL-SDR to go along with your new Slinky antenna, check out this roundup of some of the options that are on the market as of 2017. You’ll probably need an upconverter to get down to the 80m band, so you might as well build that while you’re at it. Every once in a while you get lucky and a piece of cool gear lands on your bench to tear down and explore. On that measuring stick, Kristin Paget hit the jackpot when she acquired a fascinating piece of current generation cellphone infrastructure. She’s currently researching a carrier-grade LTE eNodeB and walked through some of the findings, along with security findings of two IoT products, during her talk on the Laws of IoT Security at the 2017 Hackaday Superconference. Evolved Node B (eNodeB) is the meat and potatoes of the LTE cellular network. It connects the antenna to backhaul — this is not something you’d expect to see on the open market but Kristin managed to pick one up from a vendor at DEF CON. Hearing her walk through the process of testing the hardware is a real treat in her talk and we’ll get to that in just a minute. But first, check out our video interview with Kristin the morning after her talk. We get into the progress of her eNodeB research, and touch on the state of IoT security with advice for hardware developers moving forward. What do a Rogowski coil, a magnetic core, and a hall effect sensor have in common? They are all ways you can make oscilloscope probes that measure current. If you think of a scope as a voltage measurement device, you ought to watch the recent video from Keysight Technology (see below). It is true that Keysight would love to sell you a probe, but the video is not a sales pitch, just general technical information about making current measurements with an oscilloscope. Of course, you can always measure the voltage across a shunt resistor — either one that is naturally in the circuit or one you’ve put inline just for measuring purposes. But if you add a resistor it will change the circuit subtly and it may have to handle a lot of power. The Keysight video points out that there are different probes for different current measurement regimes. High current, medium current, and low current all use different probes with different technologies. The video is only about 6 minutes long and if you’ve never thought about measuring current with a scope, it is worth watching. The video shares some high-level details of how the current probes work — that’s where the Rogowski coil comes in, for example. Of course, you can’t expect a vendor to tell you how to build your own current probes. That’s OK, though, because we will. Current probes are often expensive, but you can sometimes pick up a deal on a used one.